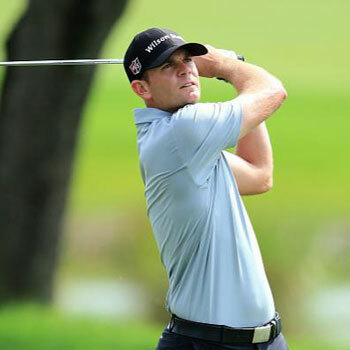 Brendan Steele had another tough tournament last week, managing only an even-par 70-70 — 140 Thursday and Friday to miss the cut at the Wyndham Championship by 3. The winner eventually finished the four days 21 under par. The Idyllwild native found only 50 percent of the fairways with drives averaging 305 yards, but he managed to hit 69 percent of the greens in regulation anyway, and he gained slightly against the field with his putter. He goes into this week’s first playoff tournament 38th on the FedExCup points list and ranked 70th in the Official World Golf Ranking. Thursday’s $9 million The Northern Trust will be played on the Ridgewood County Club course in Paramus, New Jersey. Brendan needs to do well during the first three playoff tourneys to play in the season-ending Tour Championship, into which only the top 30 players on the FedExCup list gain entry. Brendan tees off Thursday at 9:44 a.m. PDT and Friday at 5:05 a.m. PDT, playing with Chez Reavie and Ryan Armour both days.